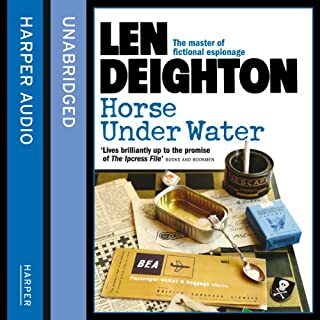 The dead hand of a long-defeated Nazi Third Reich reaches out to Portugal, London and Marrakech in Deighton's second novel, featuring the same anonymous narrator and milieu of The Ipcress File, but finds Dawlish now head of the secret British Intelligence unit, WOOC(P). The detail is frightening but unfaultable; the story as up to date as ever it was. 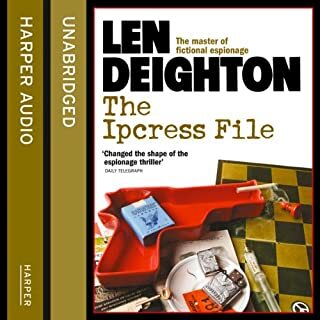 The un-named hero of The Ipcress File the same: Insolent, fallible, capricious - in other words, human. Berlin, 1964. The Greater German Reich stretches from the Rhine to the Urals and keeps an uneasy peace with its nuclear rival, the United States. As the Fatherland prepares for a grand celebration honoring Adolf Hitler's 75th birthday and anticipates a conciliatory visit from US president Joseph Kennedy and ambassador Charles Lindbergh, a detective of the Kriminalpolizei is called out to investigate the discovery of a dead body in a lake near Berlin's most prestigious suburb. West Berlin, 1979. Helen Abell oversees the CIA's network of safe houses, rare havens for field agents and case officers amidst the dangerous milieu of a city in the grips of the Cold War. Helen's world is upended when, during her routine inspection of an agency property, she overhears a meeting between two unfamiliar people speaking a coded language that hints at shadowy realities far beyond her comprehension. Before the day is out, she witnesses a second unauthorized encounter, one that will place her in the sight lines of the most ruthless and powerful man at the agency. 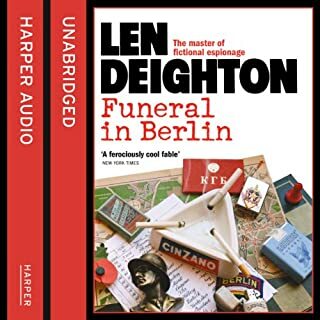 Bernard Samson returns to Berlin in the second novel in the classic spy trilogy, Faith, Hope and Charity. Bernard is trying hard to readjust his life in the face of questions about his wife, Fiona, and her defection to the East. Is she the brilliant highflier that her department seems to think she is? Or is she a spent force, a wife and mother unwilling or unable to face her domestic responsibilities? Bernard doesn't know but is determined to find out. 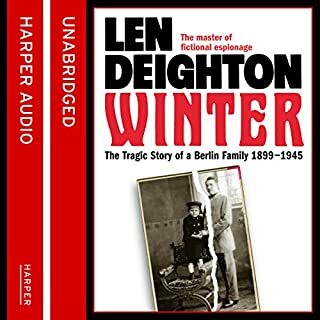 Bernard's boss, Dicky Cruyer, is certainly not anxious to reveal what he knows, as he jostles for power with Fiona herself in London Central and takes to the road with Bernard on a mysterious mission to Poland. 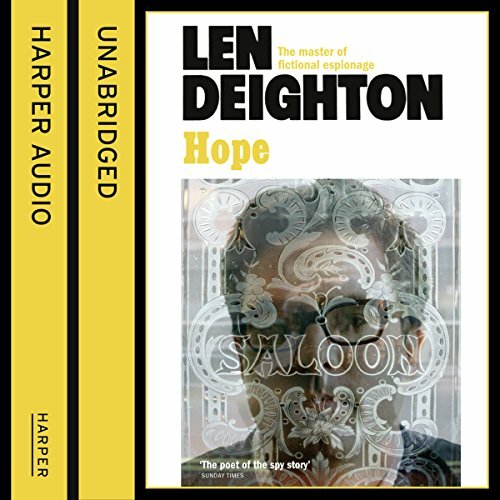 This new reissue includes a foreword from the cover designer, Oscar-winning filmmaker Arnold Schwartzman, and a brand-new introduction by Len Deighton, which offers a fascinating insight into the writing of the story. 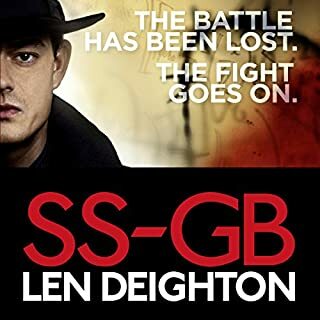 Great book, second part of the third trilogy of Bernard Samsung set during the Cold War. Loved this book, excellent next step in the series very well narrate. just looking forward to the next one! Would you listen to Hope again? Why? 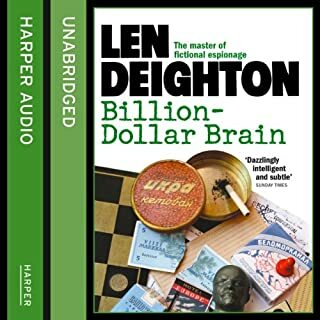 This is a fantastic story, indeed the whole series is, but special credit should go to the narrator James Lailey, whose characterisations, pacing and general performance are completely fantastic. What about James Lailey’s performance did you like?